An investigator with the Georgia medical office has confirmed what Kris Kross fans already feared. Chris Kelly, the 34-year-old rapper known to millions as "Mac Daddy," had a mix of drugs in his body when he was pronounced dead on May 1, a toxicology screening found. That's according to Betty Honey of Atlanta's Fulton County Medical Examiner's office, as reported by the AP. 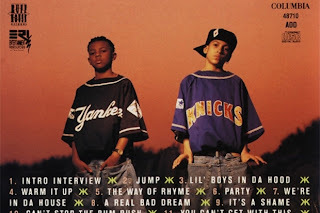 Kelly and "Daddy Mac" Smith formed the early-'90s hip-hop duo behind such hits as "Jump" and "Warm It Up." A funeral service for Kelly took place in Atlanta on May 9, with Smith, producer Jermaine Dupri, and members of the '90s R&B group Xscape in attendance. Kelly was found unresponsive by paramedics on a couch in his Atlanta home. He was declared dead at a local hospital after unsuccessful attempts to resuscitate him. Police suspected the cause of death was a drug overdose. His mother reportedly told authorities her son had taken cocaine and heroin the night before he died. Kris Kross reunited for a one-off concert earlier this year. According to the AP, Kelly's uncle Lemar Williams said at the memorial service that Kelly had been eyeing a comeback effort.